In early 2013 a Gentleman in Scotland discovered an Australian 1d Red KGV stamp (cancelled 99 years ago in suburban Sydney) which now plays a significant part in philatelic history. 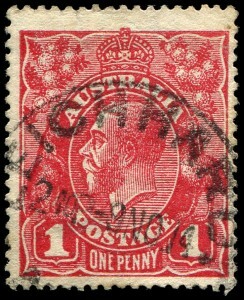 The Australian 1d red stamp with the King George 5th portrait is the most popular Australian stamp collected in Australia and overseas. 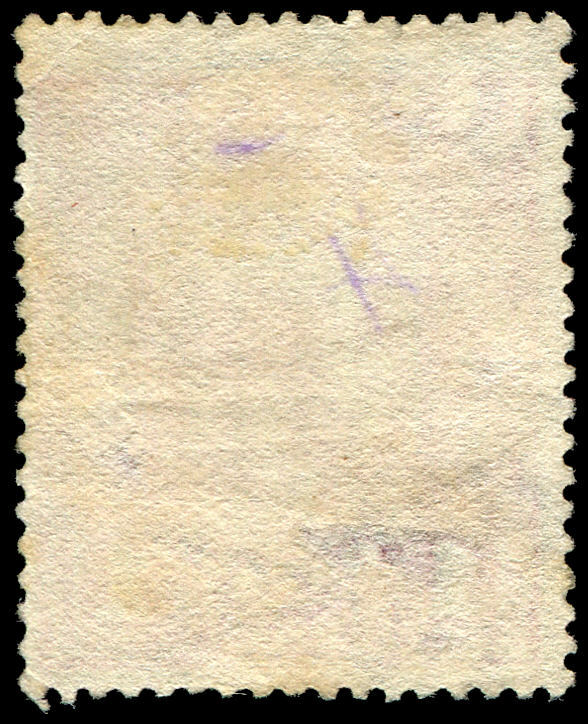 What aspect of this stamp placed it on ‘page 1’ in the world philatelic press; it was not its condition which is clear to any potential buyer, but rather the suggestion that the stamp has a “sideways watermark”. If correct this was a new discovery and a unique item of Australia’s most popular stamp. Thankfully the stamp was given to Mr. Ian Perry a leading Stamp Dealer in England who specializes in ‘Australian Stamps’; to bring to the “Melbourne International” in May 2013 for examination by Drury and other leading philatelic experts. Drury arranged with Mr. Neil Holland of ‘Scientific Document Researches P/L’ to use Mr. Holland’s scientific equipment. Drury and Holland have been friends for more than 20 years via their association in the Police in Australia, and both have a common interest in the prevention of fraud within the stamp collecting market in Australia. Mr Holland is a professional of the highest ethical standing in the opinion of Drury but unfortunately not experienced in “1d red shade group identification” which was required for correct stamp classification upon the certificate. This is the only reason as to why Mr Holland was not invited to also sign the certificate. The 5 ‘signatories’ upon the certificate are all thankful to Mr. Holland for the free use of his equipment which played an invaluable part in their respective examinations. After considered examination all agreed that the stamp was genuine; a ‘sideways watermark’ and a unique new discovery of Australia’s most popular collected stamp worldwide. Former President of the ‘Royal Philatelic Society of Victoria’ (RPSV). 30 plus years member of the RPSV. Former member of the RPSV ‘Expert Committee’ (some 10 years). Current and former member of the BSAP, ACCC and many other Clubs for some 40 years. Received a “Gold” medal at ‘Melbourne International 2013’ for his display of the Australian 1d stamp of KGV. In the opinion of Drury, Terrington’s 1d KGV collection is in the top 5 collections of its type in the world. He is considered a leading world authority in this area. It is with great sadness that we advise that ‘Dear George’ passed away in July 2013 at the very young age of 49. His continued free work and friendship to many within the ‘philatelic world’ is and will be missed by so many at an international level. Vice President of the ‘Australian Commonwealth Collector Club’ (ACCC) and member for some 20 years plus. Current and former member of the RPSV, BSAP and many other Clubs. 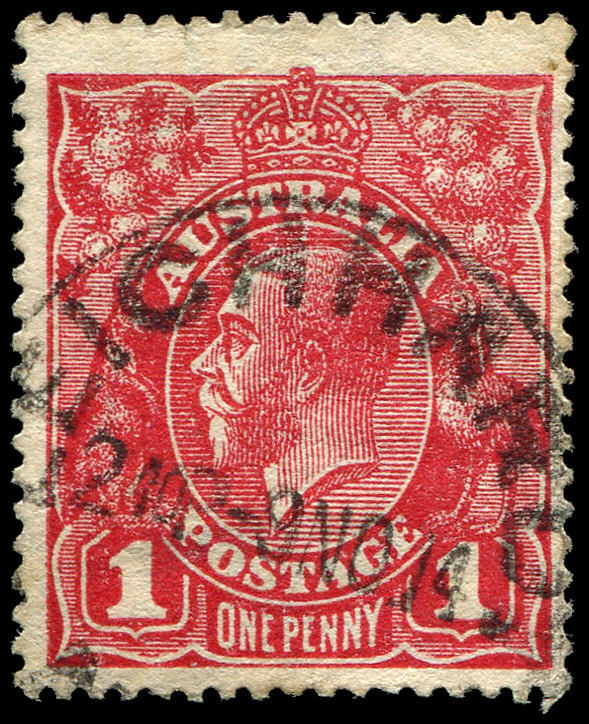 In the opinion of Drury, George was in the top 5 experts in the world on ‘colour’ and ‘variety’ identification of the Australian KGV 1d red stamp. ACCC Committee member and ACCC member for several years. Current author with ‘Australian Stamps Professional’ magazine re KGV 1d Red shades and varieties. Considered by Drury as a rising star with a bright future in Australian philately, and is further supported by Drury in that Dr Starling also issues his own ‘certificates’ in light of his on-going research of the Australian KGV series of stamps. 30 year plus member of the ACCC, member of the BSAP and many other Philatelic clubs. In 2010 he was the 1st to plate the KGV 4d “Temple Flaw” as 1L40. He is considered perhaps the world authority on the KGV 4d value in the view of Drury. He is an acknowledged outstanding expert across the KGV Australian stamp series with emphasis upon the 1d value. His outstanding quality control in philatelic research continues as he solves the last remaining areas of mystery for many of the rare flaws of the 4d value including the 4d violet ‘line through value’. Former President of the ACCC and current Committee Member. (30 plus years member). Current & former member of the RPSV, BSAP and other Clubs. Regular contributor to the Australian Commonwealth Specialist Catalogues. In 1989 after approval from Buckingham Palace, Mr Charles Goodwin, ‘Keeper of the Royal Collection’ brought part of the ‘Royal Collection’ to Australia for examination and free certification by Drury. This is the 1st time that approval had been given for part of the ‘Royal Collection’ to leave the UK for private research. Over the past 25 plus years Drury has issued many hundreds of free certificates for Institutional collections within Australia Post, the Powerhouse Museum Sydney, to many leading Auction Houses and Dealers/Collectors around the world in his on-going research of the Australian KGV ‘side face’ series of stamps, with emphasis upon the 1d red value and the ‘Salmon Eosin’ shade. It was with eager excitement that the above group examined the 1d red KGV suggested ‘sideways watermark’ with the free professional support of Mr Neil Holland and his scientific equipment. In being part of ‘philatelic history in the making’ they each signed the Certificate, given free to Mr Ian Perry who in turn agreed to donate 50 pounds to his favourite Charity in the UK. This is the 21st Century and as such a ready accessed image of the face and rear of the stamp into the next millennium will always be available to all (several computer sites and books) along with many detailed comments with respect to condition etc. 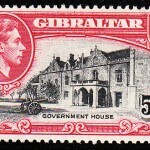 Any future attempt to fraudulently improve the stamp will be detected by the well-knowledged international philatelic trade and collecting fraternity. To the lucky (International Level) Philatelist who successfully buys the stamp from the upcoming Phoenix Auction in Melbourne on the 26.10.2013, please protect this unique treasure with pride; as to the accompanying ‘free certificate of expertisation’, that can be destroyed if considered worthless. My thanks go to Dr Scott Starling who gave me kind permission to reproduce his article here. For further reading there is a topic at The Stamp Forum. There is also an article in the Australian Stamps Professional magazine. I will try and find the issue number today. I have a red one penny australian stamp(I got alot of stamps giving when i was very small) this one might be important) not sure what todo. Don’t get too excited straight away Dawn, there are literally thousands and thousands of 1d reds – I think they probably printed millions. The point is that it is a very particular watermark variety, so you would need to check that. Sorry for the ignorance but which part is the watermark? Doing a little research. Wondering if you might know how much it sold at auction for? The last I remember was that it went up for auction and was unsold, it was then sold privately for an undisclosed sum. Details of the attempted auction are mentioned on page 7. For more than 15 years in Canada I have collected more than 10,000 stamps from all over the world. I too was interested in the history of the “filigree laternal” of the 1d KGV. 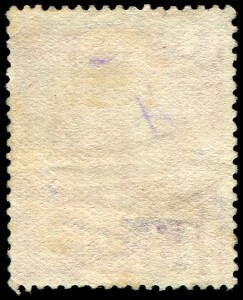 My collection dates from the first stamps in the world in 1841. I think to have an identical with lateral watermark that I present to you. I am interested in selling quickly. I do not have any authentication certificate. However, if you agree to buy it I sell it at half the price of the current quotation according to its condition (canceled with trace of hinged). Here are some photos. Plase give me goor email to join photos. Sorry I have no interest, I suggest you approach an auction house. even if the watermark is hardy visible it is so obvious from the very picture you gave that it is sideways!